This 1966 true SS Nova 327/350hp L79 car is a piece of history and is a very original, correct well taken care of car. It has been repainted and the interior has been reupholstered. The blue on blue color is very unique and just out right cool. The L79 327 paired to a 4 speed transmission has plenty of power to launch this 3,000lbs car. Clean detailed undercarriage free of debris with many original parts. This is a period correct Nova SS L79 with the original SS badging and hubcaps. It looks as though you just drove it off the lot in 1966. Very rare 1 of 3500 made in 1966. For just $159 (equal to $1,199.27 today) more than a Nova 400, buyers could choose a Nova Super Sport. Available only in a Sport Coupe, the Nova SS was top of the line. The 194 cu in (3.18 L) inline-six was standard on the Super Sport, but any Chevy II (excluding four-cylinder) engine could be coupled with the SS. The Nova SS was visually distinguished by wide rocker panels and a bright aluminum deck lid cove. It had bright SS emblems on the grille and in the ribbed rear panel, and Super Sport script on the quarter panels. Wheel covers were inherited from the 1965 Malibu SS. Strato-bucket front seats were included, but a tachometer cost extra. 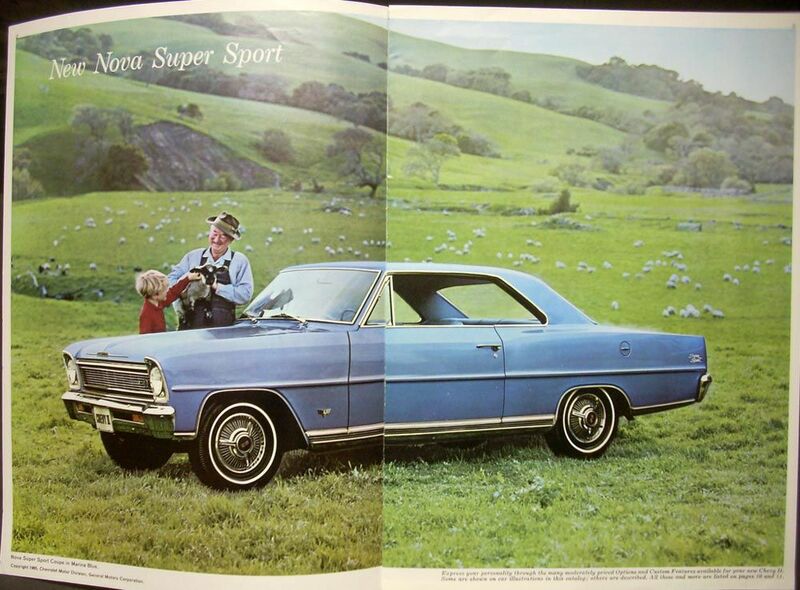 The ’66 Chevy II sales brochure clearly promoted the Super Sport as the “Chevrolet Chevy II Nova Super Sport,” but the name "Nova" was not used anywhere on the body. Front and rear emblems displayed "Chevy II SS." In 1967, Chevy II was still the name of the vehicle, but the Nova SS option package replaced all Chevy II badging with Nova SS badging.